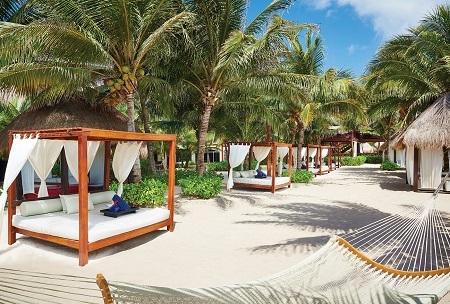 All Inclusive adults-only El Dorado Royale, by Karisma in Riviera Maya, Mexico! BUY Per Person Per Night and Choose Your Length of Stay! This Is Not Just A Resort. 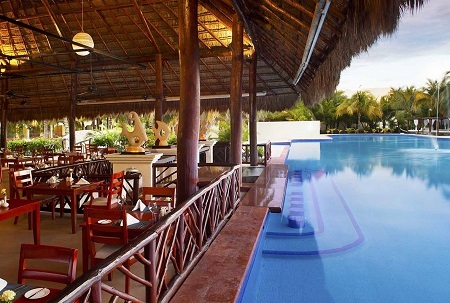 El Dorado Royale is a Five Star beachfront resort, providing an exclusively breathtaking setting for romance. With the unparalleled Gourmet Inclusive® Experience, guests can indulge in the ultimate foodie experience, lavish accommodations, pristine amenities, exciting activities, and scenery only imaginable from a postcard. It comes to no surprise that this adults-only haven of luxury is showered with covetable awards, from the 2017 Best Hotels in Mexico by U.S. News & World Report, to the AAA Four Diamond award. 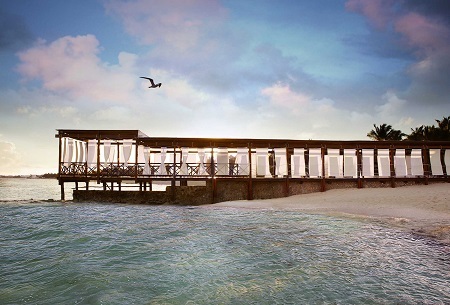 Savor every moment of the Gourmet Inclusive® Experience in any of El Dorado Royale's elegant à la carte restaurants. 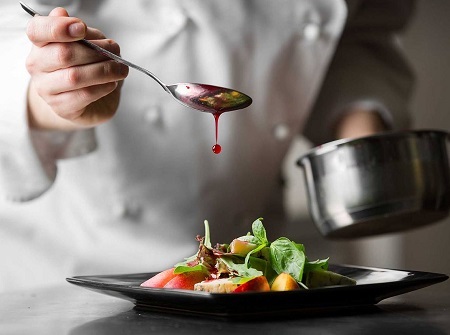 Every meal is a demonstration of our chefs' mastery of the culinary arts. Enjoy the pampered bliss of a plush king-sized bed or two double beds, contemporary bathrooms with double sinks and glass enclosed showers, a romantic indoor Jacuzzi® for two. * Single Supplement of $175 applies if only 1 person stays in a room. Stay a minimum of 1 night or up to 14 nights as desired and based on availability. Tax and service charges are included in this offer. Additional: An Environmental Sanitation Tax 'eco - tax' in the amount of 20 Mexican Peso per room per night is paid locally and will be collected at check -in by the hotel. Price is per person per night based on double occupancy.